You’ve finally found the home of your dreams and now you’re ready to sign the contract. But, there is one key step before making the purchase final – getting a home inspection. The freshly painted walls, hardwood floors, and granite countertops are simply superficial touches. What you don’t see is the dangerous wiring, ancient plumbing or foundation cracks. All these defects can be revealed if you hire a home inspector. A home inspection is, basically, your chance to investigate a property thoroughly and reveal any serious flaws. People usually hire an expert that walks through the house and makes a report that lists the major components of the home, the condition they are in, and whether something requires maintenance once you move in. If you sign a purchase agreement that has an inspection contingency, then you can walk away from the deal without any penalties if the home inspection reveals some serious flaws. You can also ask the seller to make all the necessary repairs, saving you money and hassle. Even though you might hire a home inspector, it is wise to have your own home inspection checklist which can help you get the most out of the inspection report. Finding a good home inspector might take some time. If you have a real estate agent, then it is very likely that he will recommend several inspectors. You should also do research on your own and ask for recommendations from your friends, colleagues, or family members. Keep in mind that licensing requirements for home inspectors vary from one state to another. For example, in some states, a home inspector must complete training, pass an exam, and demonstrate experience in order to get licensed. However, in other states, home inspectors are not required to be licensed at all. The American Society of Home Inspectors (ASHI) provides an interactive map which lists home inspection license requirements in all states. Once you find a home inspector, make sure to ask for a sample report before you hire him. Some reports might be 100 pages long while others only contain checkboxes. A longer report doesn’t necessarily have to be better. Make sure to check with the inspector what is included in the inspection. If there are certain concerns you want to have addressed, ensure that the inspector adds them to the list. The scope of a home inspection depends on the inspector. However, there is one thing that is consistent – all inspectors focus on the physical components of a home. This certainly covers many things but doesn’t include absolutely everything. A home inspector can only report what he can see, not what is inside the walls or underneath the furniture. However, if there are accessible crawl spaces in the home, the inspector will enter and check the foundation. In addition, the home should be vacant so that the inspector can inspect as much as possible. What to Look for in Your Home Inspection Report? There are some red flags you should look out for in every home inspection report. For example, a water leak can cause a lot of trouble to homeowners. However, locating the source of the leak can be a bit tricky. Make sure that this is included in the report and that the inspector checks the plumbing properly. The water should be turned on during the inspections and the faucets should run for a period of time so that leaks can appear. 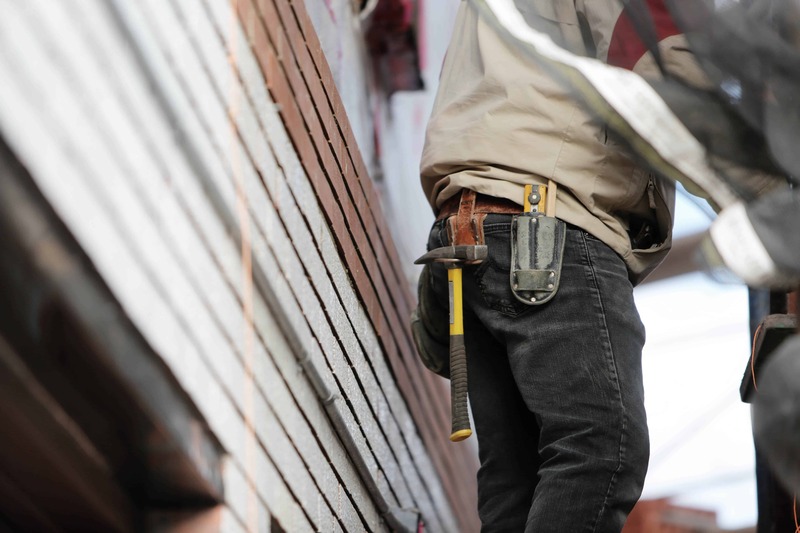 Make sure that the home inspector pays attention to any structural issues. Even though a small crack seems innocent, it can cause larger problems. Inspectors should look for cracks between doors and windows, bulging walls, and sloping floors. Even if your home has a concrete foundation, it doesn’t mean that it is immune to termites and other wood-destroying insects. They can crawl through small spaces and damage wooden structural supports and even porches and windows. It is recommended that your home inspector searches for these pests since they can cause thousands of dollars in damage. Keep in mind that the home inspector typically only searches for problems and won’t estimate repair costs for you. If you have any questions, make sure to discuss them with your inspector and ensure that you are making a good investment. Below we cover our 80+ point home inspection checklist. While we always recommend purchasing a home inspection prior to buying a home, you can use this list as a way to do your own DIY inspection while you’re house hunting and before making an offer. Before checking the interior of your new home, don’t forget to check what the exterior is like. Driveway and walkway – do they need any repairs? Are there any large cracks? Grounds – there should be no evidence of standing water or any leaks from the septic tank. House should have proper drainage. There shouldn’t be any branches or bushes touching the house. Porch, deck, and railings – make sure that the boards are solid and that the supports are sufficient. Also, see if repainting will be necessary. House exterior – the paint should be in good condition. There should be no crumbly stucco or flaking of bricks. The siding boards should not be cracked. It is desirable to have gutter extensions that take water away from the house. Fences – are the fences in good condition or they started rotting? Foundation – are there any significant cracks? Can insects reach the wood? Roof – will shingles need replacing any time soon? Is there any sagging in the roof? Are there any gaps? Are shingles curling or splitting? Doors and windows – you want them to be in good shape. This means that there are no cracks, decay, or rot. There should be no broken glass or damaged screens. Drip caps should be installed over windows. All locks should be working properly. Sheds – the shed door should be working properly and the shed floor should be solid. There should be a source of light as well. Propane tank – if there is a propane tank, it should be securely mounted. If it is near the driveway there should be some safety barrier. Garage door – garage door and other doors should be in good working condition. Firewall – there should be a firewall between the house and the garage. Floors and walls – are they in good condition? Flat roofs – are there any patches, cracks, or wrinkles? Composition shingles – are there any missing or damaged shingles? Are there more than two layers of roofing? There should be no cupping or curling. 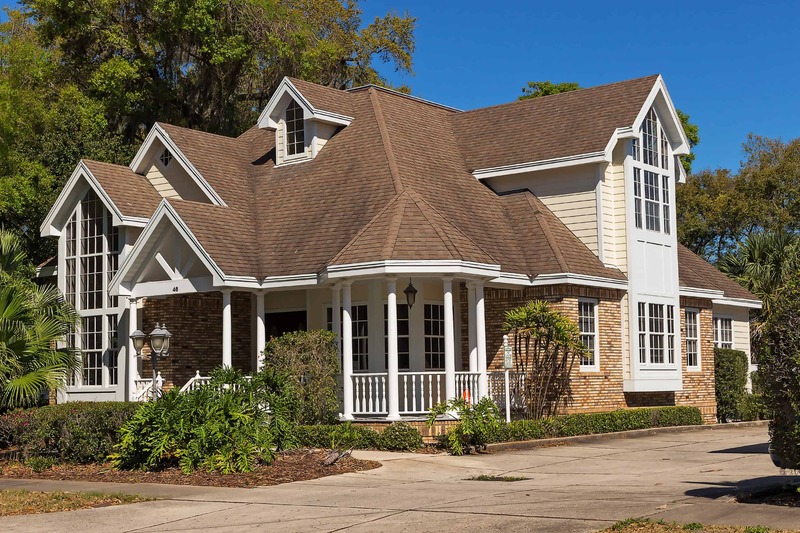 Wood shingles – watch out for mold, rot, decay, as well as cracked or broken shingles. Chimney – should be straight. There should be no signs of damaged bricks or cracked joints. Exterior venting – all vents should be clean. Gutters – should be attached securely to the roof. All the joints should be sealed. There should be no decay or rust. Insulation – is it properly installed and in good condition? Ventilation – are there any vents? Are they properly installed? Wires – is the wiring updated? Roof – there should be no light coming in through the roof. Inspect for any black spots or patches that could be mold. Pests – is there any sign of pests such as droppings or chewed wood? Damage – the structure should be checked for any decay or damage. Other – there should be no plumbing, exhaust or appliance vents. Moisture – no evidence of moisture, water stains, or standing water. Floor and walls – no cracks, discoloration, or bulging that indicate damage or evidence of water. Foundation – no cracks or flaking. 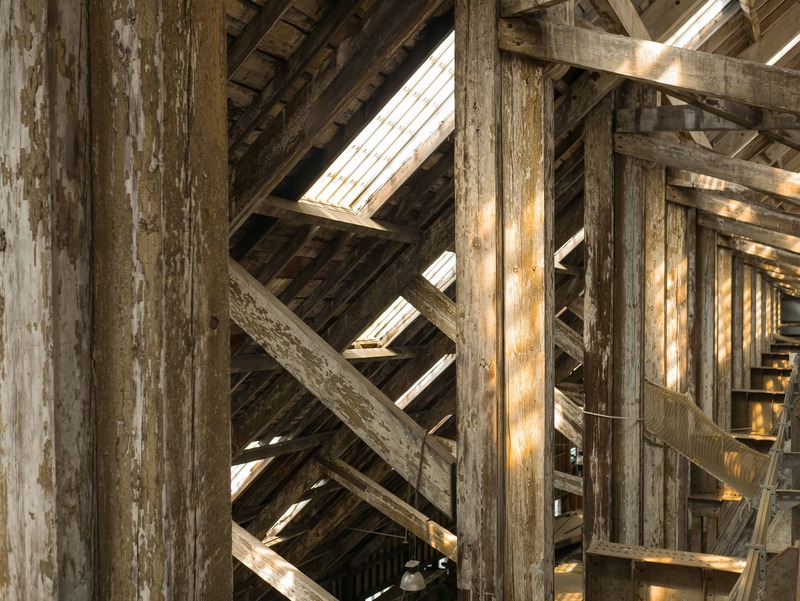 Structural wood – no damage, decay, or sagging should be present. Faucets, sinks, drains – should be in working condition. 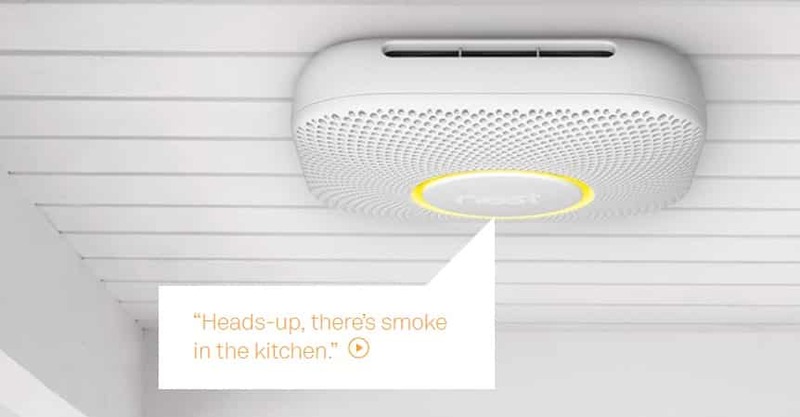 Smoke/carbon monoxide detector – is there a smoke or carbon monoxide detector installed? Does it function properly? Size – is the crawl space big enough to crawl in? Venting – is the crawl space adequately vented to the exterior? Insulation – is there insulation on vent pipes, waste, and exposed water supply? Also, is there insulation between crawl space and heated areas? Damage – there should be no evidence of moisture and insect damage. Mast – is the mast (electrical connection) attached to the house? Outside wires – are there any wires rubbing against the house? Are the lines more than 10 feet above the ground? Breaker box – are there breakers instead of fuses? Are the breakers labeled? Is the breaker box covered? Wiring – wiring should look normal. Exposed splices should be in junction boxes. Is there exposed wiring? Are there any wires with evidence of burning? Outlets – outdoor outlets should have weather protection. All outlets should have undamaged covers. Water pump – should be working properly and shouldn’t short cycle. Pipes – there should be no damage, no sign of staining on materials near pipes, no evidence of leaks. Water heater – should be vented properly and capable of producing an adequate amount of hot water. Water temperature – should be between 118 and 125 degrees Fahrenheit. Floors, walls, ceilings – there should be no stains. All should appear straight. Walls – there should be no significant cracks nor damage. Flooring materials – are they in good condition? Will they need replacing any time soon? 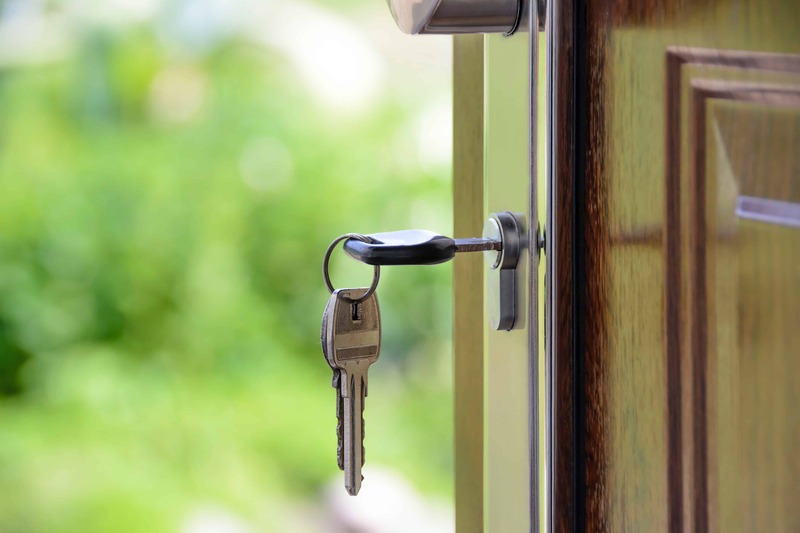 Windows and doors – do they operate easily and latch properly? There should be no broken glass or hardware nor any decay. Paint and paneling – are they in good condition? Lights and switches – do they operate properly? Should they be replaced soon? Insulation – there should be evidence of adequate insulation in walls. HVAC – every habitable room should have a heating/cooling source. Fireplace – there should be no cracking, damaged masonry, or evidence of back-drafting. Flues – there should be no open seams. Separate flues for propane/gas/oil and wood/coal should exist. Air filters – they should be clean and working properly. Ductwork – is it in good condition? Cooling unit – is there rust around the cooling unit? Pipes – there should be no asbestos on heating pipes and water pipes. Structure – are there any cracks or gaps? Damper – does the damper open and close easily? Chimney – is the chimney in good condition? Is it pulling away from the house? Are there any bricks coming apart? Is there a chimney cap? Walls – are there any cracks or bulges? Is the paint or wallpaper peeling? Look out for water stains as well. Ceiling – it should not be sagging. Check out for peeling paint as well. Floor – look out for any stains or damaged areas. See if the floor is even. the carpeting should not be pulling anywhere. Lights – make sure that all lights and light switches work. Outlets – all outlets should be anchored firmly to the wall and working properly. Outlets should be covered. Make sure to test all outlets with an outlet tester. Doors and windows – they should be opened and closed easily. If there are any blinds or curtains, make sure that they are functioning properly. Appliances – make sure that appliances are working, if there are any included in the sale. Cabinets – all cabinets should be in good condition; doors and drawers operate properly. Exhaust fan – does the exhaust fan work? Is it vented to the exterior of the building? Garbage disposal – there should be no excessive rust or deterioration. Pipes – they work properly and there are no leaks in pipes under sinks. Faucets, sinks, and drains – see if all faucets are working and watch the color of the water. How long does it take for hot water to get there? Does the sink drain easily? Is there any moisture under the sink caused by leaky drains? Ground Fault Circuit Interrupter – should be within 6 feet from the sink. Sink, tub, and shower – do they work properly? Do the sink and tub/shower drain easily? Are there mineral stains in the tub/shower? Are the walls around the tub/shower damaged? The sink should show no sign of rust. Toilet – flush the toilet to see if it operates properly. Is there any dripping? Is the toilet stable? There should be no stains around the base. Tub/shower tiles – are they secure? Is the wall surface solid? Flow and pressure – are the flow and pressure adequate at all fixtures? Entrance – is the entrance well lit? Is there any noticeable damage to the walls or the floor? Stairways – are the stairs safe for walking on? Are there any loose steps or broken edges? Do all stairways have handrails? Furnace – Is the furnace working properly? Is the flame blue or orange? Does the fan sound smooth? Is there any smell of leaking gas? Water heater – is it in good condition? Is the water hot enough? Are there any stains that might indicate leakage? Air conditioning – does it work? Does the condenser unit run quietly? Are the cooling fins of the condenser unit in a good condition? And if you’ve made your purchase, we definitely recommend downloading our new house checklist to make sure your home is move-in ready on day one! When building or moving into a new home, it’s always nice to find that you have a bonus room. 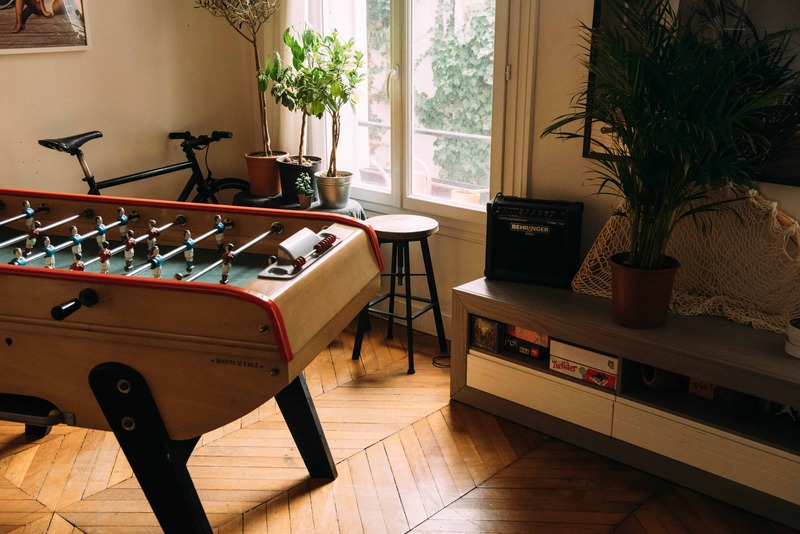 This is effectively an extra room that can serve any purpose you like, be it as a makeshift guest room when you have overflow during the holidays, a space for kids to play, or a special place for you to practice whatever hobby might interest you. Or at least, that’s the idea. All too often however, we allow these rooms to go more or less unused, such that they wind up primarily as storage spaces and places to put a guest on an air bed in a pinch. We have a few ideas, however, on how to get more out of a bonus room and turn it into a great asset for your home. By game room, we’re referring in this case specifically to video games. This has always been a popular use for bonus rooms, though in the past it basically meant having a couch, a TV, and a gaming console set up in whatever way makes the most sense. Now, however, there is so much more possible equipment that can be purchased so much more affordably, it’s possible to actually design the whole room to revolve around gaming. For instance, dark paint or wallpaper can be used to “shrink” the room from the eye’s perspective, and help the eyes zero in on the games. Comfortable couches can be customized to make the environment more appealing. Surround sound can be achieved with a few speakers rather than some elaborate system hooked up in every corner. And nowadays some people even set up space for virtual reality, which is fast becoming a popular version of in-home gaming. It requires some spending, but ultimately you can make a spectacular bonus gaming room with relative ease. This is another form of game room, though naturally a more old-school version of the concept. A poker room can easily be somewhat tacky, but there are ways to design one that’s quite classy as well. You’ll want to start by furnishing the room more like a study or lounge than some basement den. That means soft carpet, lamps instead of overhead lights, paintings instead of posters, and uniform furniture instead of mismatched loungers. We’d also suggest one or two additional touches. You can find rankings of different hands or overarching rules of poker online and arrange them as a poster or plaque to hang in the room. Others can be art-based. You could also find any famous painting involving cards or poker and hang framed replicas. Little touches like these intensify the poker atmosphere and make the room that much more unique. Then all that’s left is a table suitable for card games and perhaps a small bar counter setup if there’s space. Much of what we’d specifically say for a home cinema overlaps with the game room concept above. Though it should be mentioned that people these days can build home cinemas on the cheap. The extreme high-end TVs are easily skipped (you don’t need a “smart” TV for an extra $400), projectors are unnecessary, and in some cases your smartphone can serve as a universal remote, for instance. Here as with a poker room you can add a few personal touches, such as framed posters for famous or favorite films. But the core concept is fairly straightforward and, with good strategizing, can be surprisingly affordable \. A creative space can be all kinds of things. But whether you’re a part-time writer who needs a desk and a few materials on hand to be at your best, a crafting enthusiasts who tends to make a mess through the process, a painter who likes to have canvases spread out, or whatever else, a bonus room can be a perfect creative studio of sorts. Because this can mean so many things we won’t point to specific tips. But generally speaking if you have good lighting, a few surfaces, some open space, and a closet, chest, or set of drawers of some kind for supplies, you can design this sort of room any way you like. Millennials could be missing out on a lot by choosing to rent as opposed to buying homes, according to financial author David Bach. His study found that homeowners are 38% wealthier than renters. Buying a home is more expensive than renting and requires more responsibility; however, unlike renting, when you buy you are making an investment. Like any good investment, buying and selling homes requires patience. 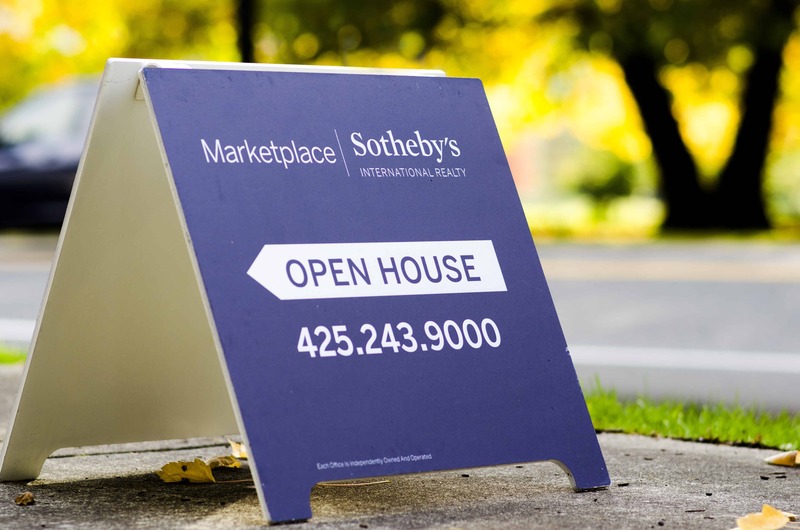 The median age for first time home buyers is 32. If first time homeowners are patient and live in each of the homes that they buy in their lifetime for a minimum of 5 years, by the time they are 50-60 they can sell their home and use the money they make to retire. The following is a list of things to consider when buying a home, and reasons to remain in your homes for at least 5 years. The median income for first home buyers is 72,000. If this income seems high, consider a studio or smaller home to lower the cost. The bank will loan you the maximum that they think you can afford. Consider borrowing 10-15% less than the bank will lend you, this will make your monthly payments more affordable and your debt more manageable. If you can save at least 10% as a down payment, you will considerably lower your mortgage payments. The more money you have as a down payment, the lower your loan rate will be. An appropriate down payment will allow you to secure an affordable monthly payment. 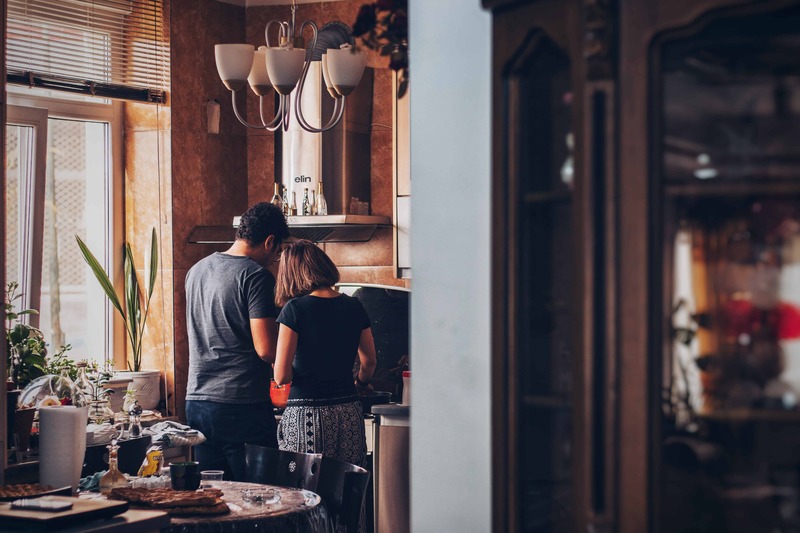 Many homeowners stick to the five-year rule, according to Scott Durkin, chief operating officer at Douglas Elliman Real Estate. The best you can hope for after one year is breaking even, but more often than not homeowners take a loss. Beyond two years, homeowners are no longer subject to capital gains tax; however, five years allows them to build more equity. The general principle of the five-year rule is waiting for the market to appreciate to double digits, in the hopes that when it does, the buyer can recuperate some of the purchasing costs. If the market doesn’t appreciate after five years, at least you have built enough equity to sell your home and make some money. After what feels like a lifetime of sticking to the five-year rule, you will be ready to sell for the last time and begin to plan your retirement. If you are living in your forever home and over the age of 62 you qualify for a reverse mortgage. A reverse mortgage is exactly as it sounds, the payments work in the opposite direction of a conventional, forward mortgage. Essentially, you sell your equity to keep your home, and receive payments from the lender instead of making mortgage payments. As you receive payments your equity declines, but you can keep your home for the rest of your life. The reverse mortgage will be paid when the house is eventually sold; however, the borrower (the person paying a reverse mortgage) can only gain or break even from the sale because the amount owed cannot exceed the value of the home. Reverse mortgages aren’t for everyone. They can be great for some and very risky for others, so we recommend doing your research and talking with a financial planner before taking a reverse mortgage. Whenever you buy a home, consider living in it for at least five years in order to build equity and avoid losing money when you choose to move. If you live in each home long enough, you will be able to qualify for a reverse mortgage or even sell your last home and make enough money to retire. Nothing feels quite as good as a squeaky clean house. Our house cleaning checklist has 144 tasks and we promise, if you or your housekeeper complete all of them, your home will feel brand new. 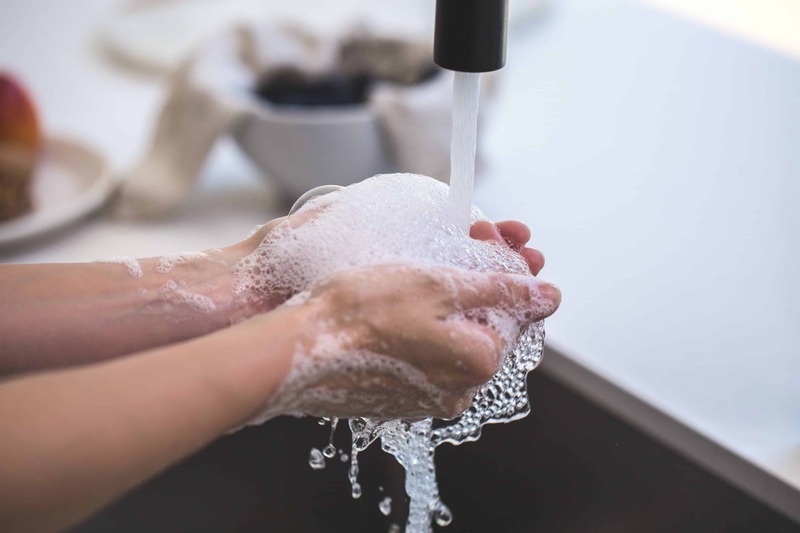 This checklist goes room by room to help you clean your home, and we even included a bonus spring cleaning checklist at the end for those times when you want a deep cleaning. Before we dive into the list, it’s worth calling out some of the supplies we think you’ll need to complete the job. We try to keep toxic chemicals out of our home, so we prefer natural & eco-friendly cleaning supplies. Vacuum floors, rugs, and bath mats. Every so often you’ll want to go above and beyond your normal cleaning routine. We think this is the perfect spring cleaning checklist. But that doesn’t mean you have to wait until April! In some cases we’ll go through these tasks every 3-6 months. At some point, everyone has wanted to buy a fixer-upper, or at least considered it. 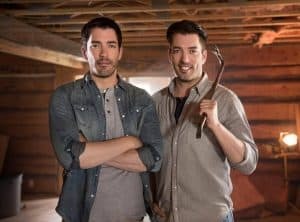 There are tons of shows (Property Brothers, Flip or Flop, Flip This House, Flippa-dippa Ding Dong*) that sell the dream. Find it, rehab or remodel it, and then either live in it or flip it. Personally, I would love to find and old craftsman, buy it for cheap, put in some elbow grease and restore it to it’s former glory. In practice though, buying a fixer-upper or remodeling a house can be difficult. A major issue is financing – construction loans are hard to get & have strict requirements. So what can you do if you want to buy a fixer-upper but you don’t have a ton of cash sitting around? Or what if you already own a home, but you just want to remodel? There’s a loan for that – the FHA 203k loan. A 203K loan is a specialty mortgage that is offered by the Federal Housing Administration (FHA). Often called a “rehab mortgage” or a “fixer-upper loan”, 203k construction loans were designed to help cover costs for rehabilitation, upgrades, home renovation or remodel. 203k loans are also an especially great choice for first time home buyers that want to buy a fixer-upper. It allows you to pay less for a house that needs a little love, and it provides you with extra money to renovate and remodel. 203k loans were created to solve a number of issues that come with traditional construction or home improvement loans. They make the process of getting a home remodel loan or buying a fixer upper much more simple. But why should you consider a 203k loan over a normal construction loan? You are ready to find the right home: You have a budget. You know your affordability amount. You’re pre-approved for a loan. You’re working with a realtor, or you are comfortable working on your own. You know your timeline. You’re now a highly-qualified buyer, the only thing standing in your way is finding that perfect house. The great home search has begun! Looking for help buying your first home? California has a number of state and country programs that encourage homeownership and will help first-time home buyers qualify for specalized loans or help them come up with the down payment. 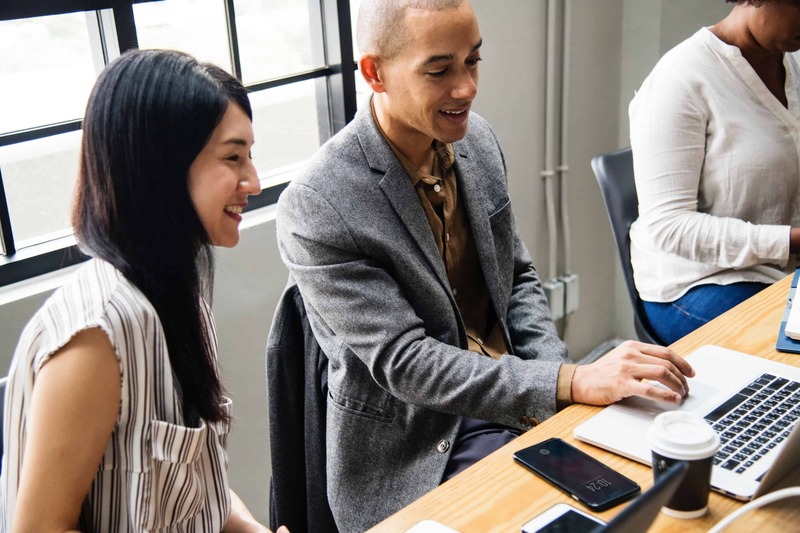 In this article we’ll cover the various state agency home buying programs, down payment assistance programs and grants, and some of the largest local programs that you may be able to use when qualifying for a home loan. A carbon monoxide detector and alarm is designed to alert users about the unsafe level of carbon monoxide. These work through making flashing lights and noise. Nevertheless, they also make flash lights and noise under some conditions. The noise that they make was described as chirping, beeping, and squeaking. Imagine buying a new WiFi thermostat, patiently waiting for that Amazon box to be delivered. You open it up, read the instructions, maybe watch a video that tells you how to install the device. You remove your existing thermostat to find that things aren’t quite right – you don’t have a C-wire. A C-wire or common wire is a power supply that is required for your smart thermostat to work properly. 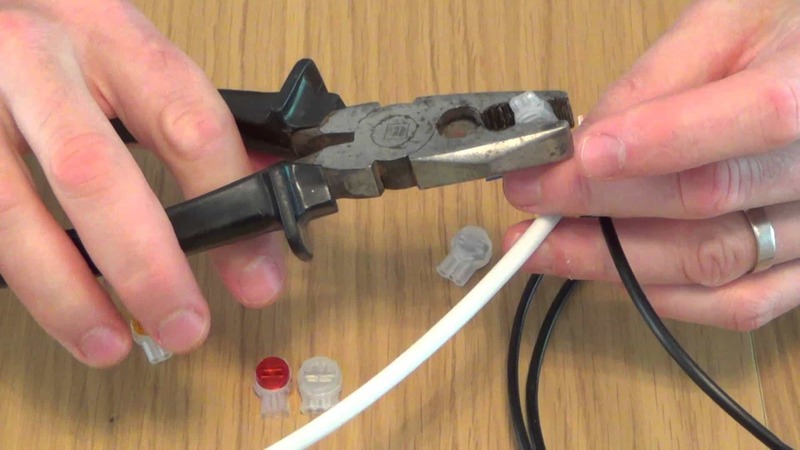 You can learn more about the C-wire and why it’s important in our article here. Unfortunately, most of the older thermostat models didn’t require one and that is the reason why many homes do not have a C-wire installed.